In a previous post, I wrote about how our wedding was an administrative minefield for our respective countries' representatives. To be fair though, so far, the medal for worse consulate services has to be awarded to the Portuguese consulate in Manchester, UK. Admittedly, I am writing this despite me being a portuguese citizen. But being married to one, I have had to deal with them and my husband agrees with this anyway. I won't tell you the story about them taking over 3 weeks to reply to emails. I won't write about how they make you retake any photo you bring them, no matter how much you think they comply with all the standards in the world. I won't tell you about the original document they refused to give back to a friend despite having no right in keeping it and how they sent that document to be archived in Lisbon and our friend having to pay a lawyer to get it back. The first awkward experience we had with them was for a simple passport renewal. P, came back home with more than he bargained for. While giving him back a pile of papers after a visit, the clerk gave him the birth certificate of a newborn baby who had obviously just been registered at the same desk. P only noticed when he got home and tidied up his papers in a drawer. We sent the certificate back, with a little friendly note! Our favourite story is still that of our daughter. 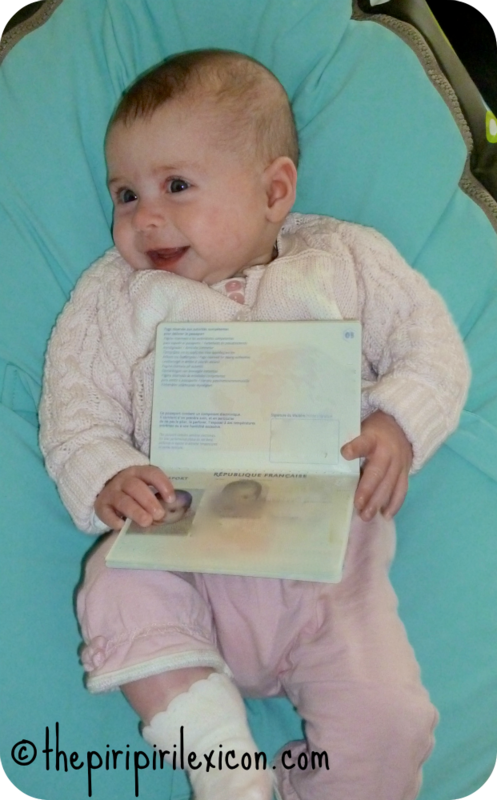 Despite being 3 years old, she is still not registered and recognised as a Portuguese citizen simply because they refused to do it. Soon after she was born, we got in touch with them and asked what kind of paperwork was needed. They kindly sent us the list and explained that because P was already registered there it would be straightforward. Of course, the baby has to be present for registration. So we set off on yet another 6-hour round trip with a 4-month old! Once there, they simply refused to register her despite us having all the necessary paperwork, translated in the right languages. Their reason: despite registering our wedding prior to it happening, we had never sent them the marriage certificate in the right language after it! Because the process had been started but not finished, they were unable to register a birth! Now, if someone can explain to me the logic in that, please do feel free to comment. This is still beyond me as to why it matters. They knew about our marriage when they replied with the list of documents. We had also brought a marriage certificate with us (as this was in the list of necessary documents). But it was not notarised or something to that effect. To be fair, we were so upset by then, that we forgot to listen to what it was they needed exactly. We sent them the document by mail a little while later but got it returned with a note saying it was something to be done in person in Manchester! We gave up! We have now moved to Germany and are about to go and visit the consulate there. Let's just see if they are a little more efficient, more friendly and understanding. Oh the joys of being an expat! Wish us luck! Une seule chose à ajouter.... BON COURAGE!! !